Making Strides of Point Pleasant Beach – Donate and Join Our Team! Join us on Sunday, October 15th at Point Pleasant Beach in support of The American Cancer Society and their efforts to save lives from breast cancer. 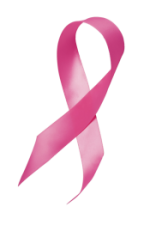 Below you will find links where you can donate to our team, join our team for the walk and find further information on the Making Strides of Point Pleasant Beach event on October 15th. Your support is greatly appreciated and we look forward to seeing you at Point Pleasant Beach on October 15th!